It's time for the afternoon parade at Universal Studios Orlando. 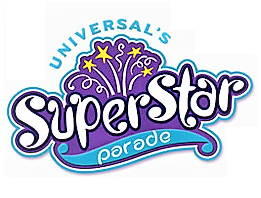 Introducing Universal's Super Star Parade. The first unit is Despicable Me. Next is the Sponge Bob Square Pants unit. The final unit is Dora the Explorer and Go Diego Go. Really enjoyed the parade. I do think they need to add 2-3 more units but what they have is a great start and is very entertaining to watch.